A new documentary “Tibet in Song” by Ngawang Choephel traces the history of Chinese suppression of Tibetan folk music and more specifically the imprisonment of the director from 1995 to 2002 after he was arrested for “spying”. Others imprisoned by the Chinese give horrific accounts of treatment in prison, with electric prods that left some people unable to speak. People were tortured for refusing to sing the Chinese national anthem. The film has a lot of black and white footage of Chinese military operations in Lhasa in the 1950s, with the Potala often in the background. 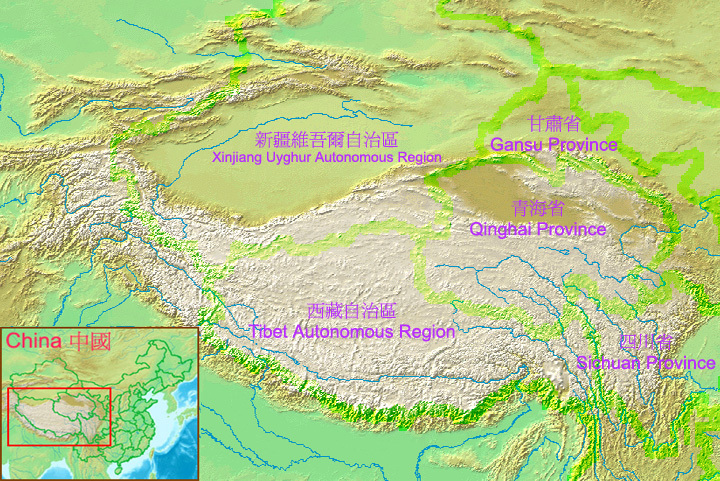 The Tibetan music may not sound so different from Chinese to Western ears, used to diatonic tonality; both sound highly modal, although Chinese propaganda songs are indeed highly patronizing. Still, night clubs exist around Tibet where the folk music may be heard. 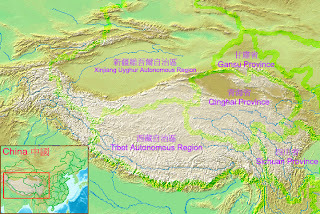 Wikipedia attribution link for Tibet map. There is also a film "Missing in Tibet" mentioned in Wikipedia, about the director.